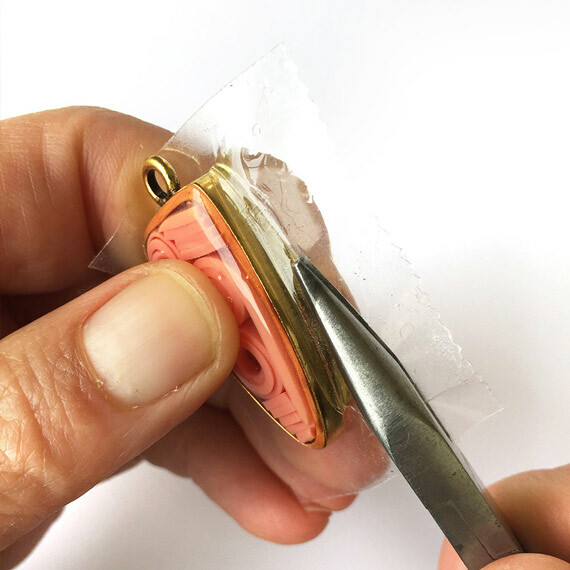 Resin, when it is still curing, is very soft and can be easily cut with scissors and even rolled. 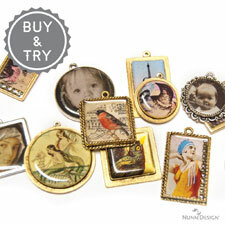 Create interesting mosaics with the excess resin that would have otherwise been sent off to the trash! 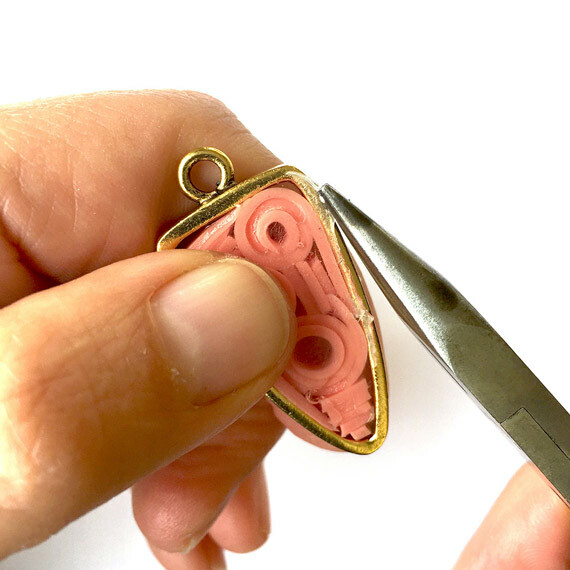 Sometimes it is challenging to get everything completed before my resin starts to set-up. 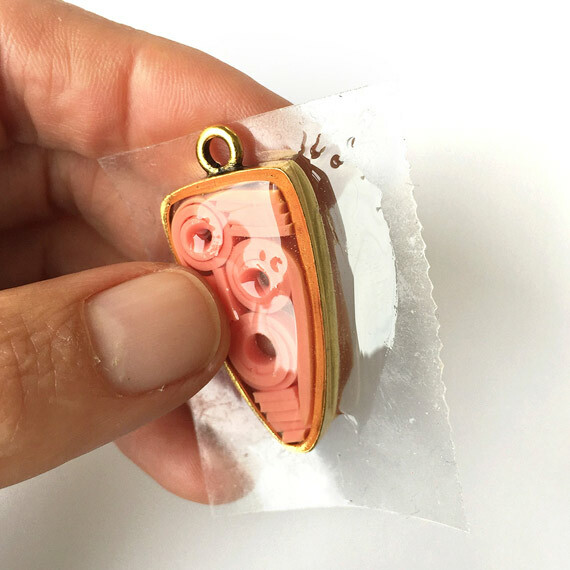 If this is your experience too, have some plastic bags, like ziplock, handy to pour your resin onto. 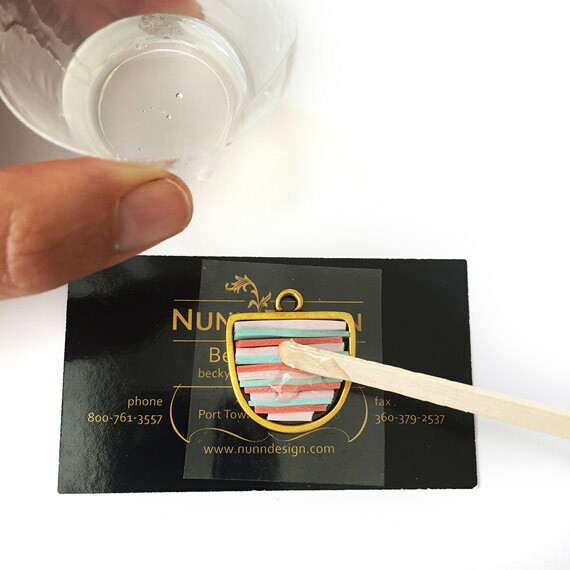 Spread the resin around with a stir stick until it is thinned out. 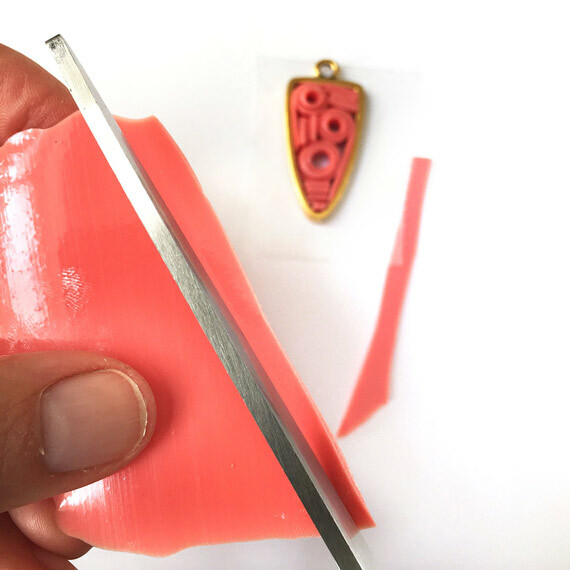 After 12 hours, the resin will be slightly cured, yet soft enough to roll and cut with scissors. 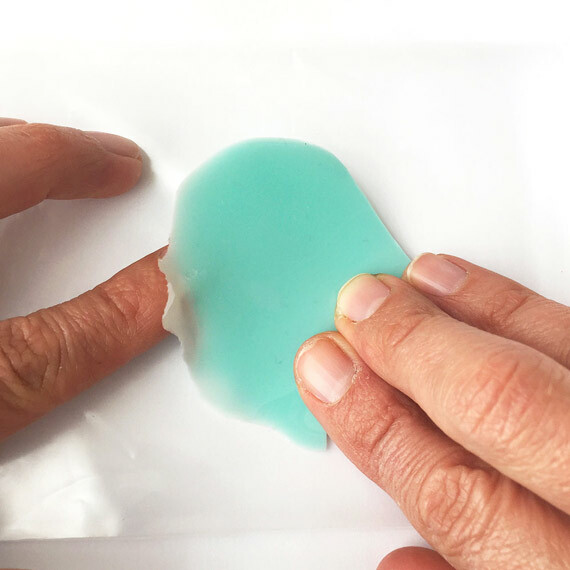 Peel the resin up from the plastic bag and lay on a flat surface. 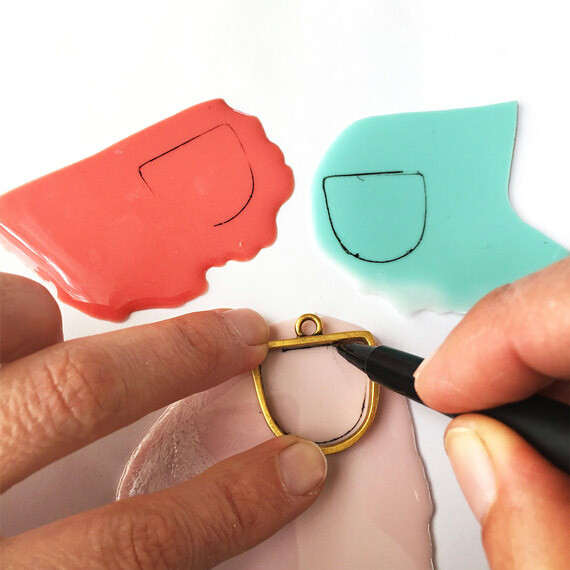 Use a pen to trace the inner dimensions of a Open Pendant onto the resin. 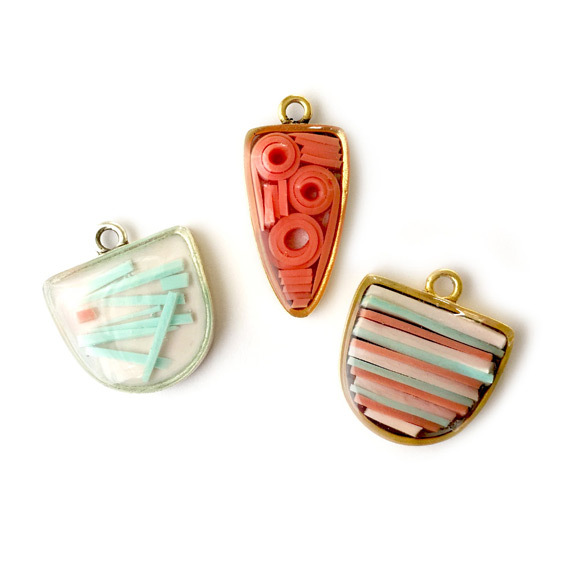 For my first pieces, I mixed all three colors together, so trace the design on multiple colors of cured resin. 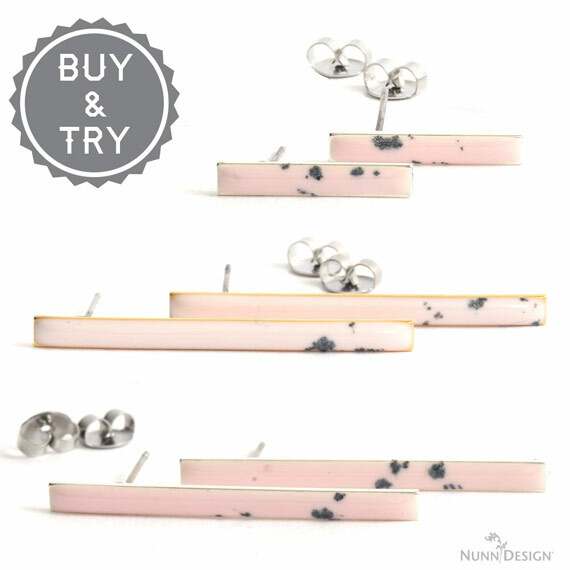 Using a pair of scissors, cut the cured resin into design patterns of your liking. 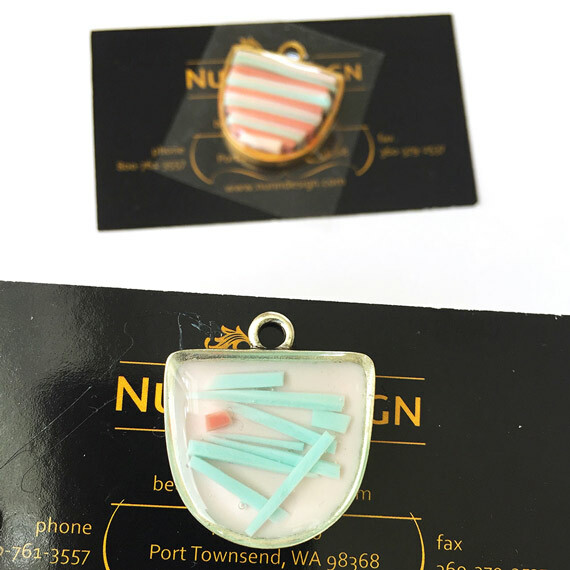 The resin is soft enough to be rolled into spirals and placed into the Open Pendants. 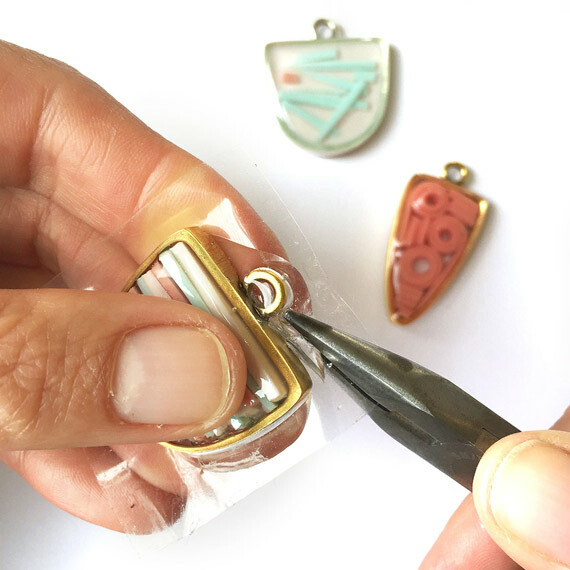 Use a pair of tweezers to embed the resin into the Open Pendant, securing it onto the packing tape. 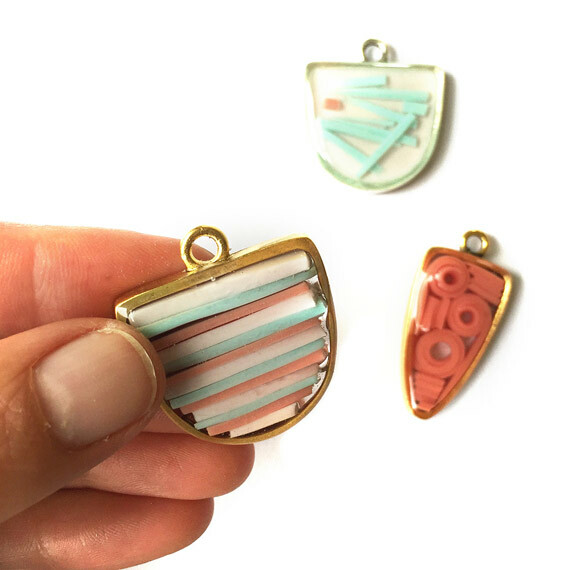 Slowly drizzle your mixed resin into the Open Pendant until the base of the bezel is filled. 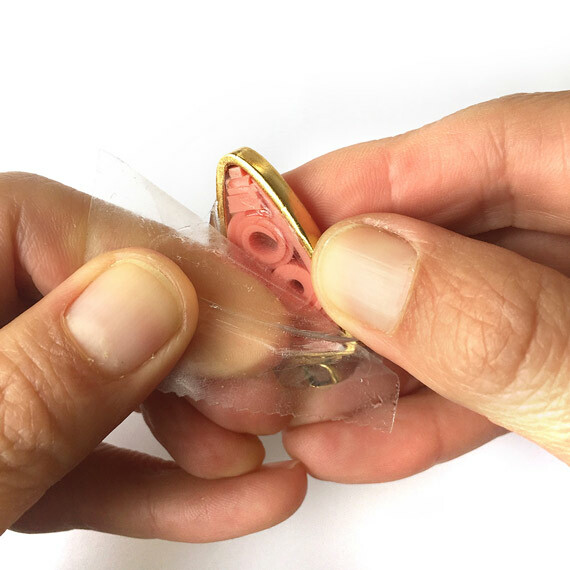 Remove the packing tape from the backside once fully cured. 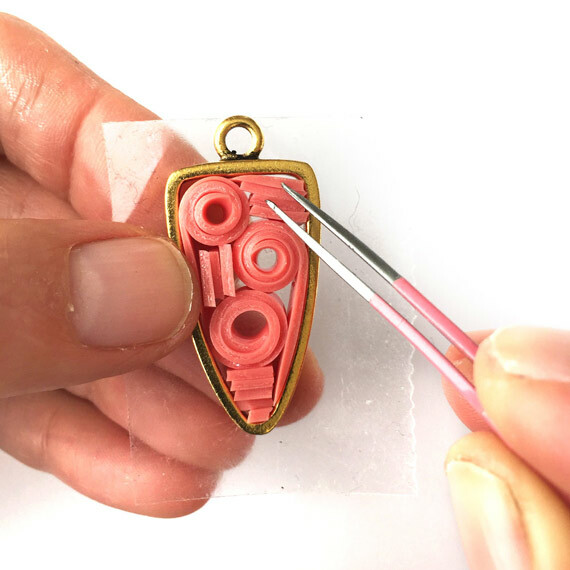 If you do it after 12 hours (like I did so I could remove the spillage from step 16) the resin will still be very flexible and can easily “bow” within the bezel. Just go slow and don’t press or pull too hard. 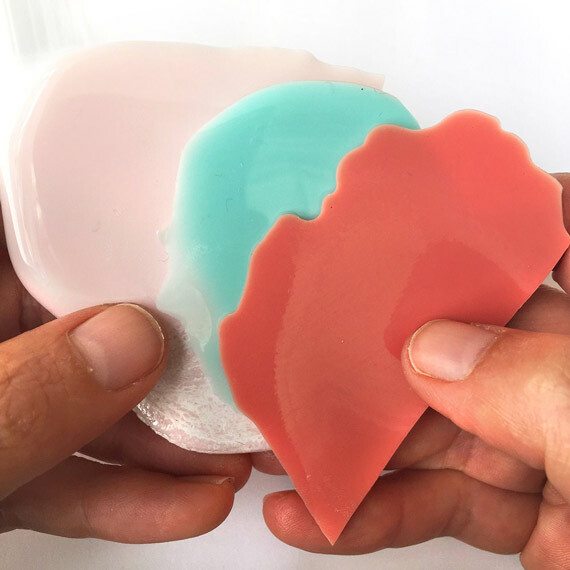 Another blog post that you might be interested in is; How to Make 2017 Summer Pantone Colors with Colorized Resin. 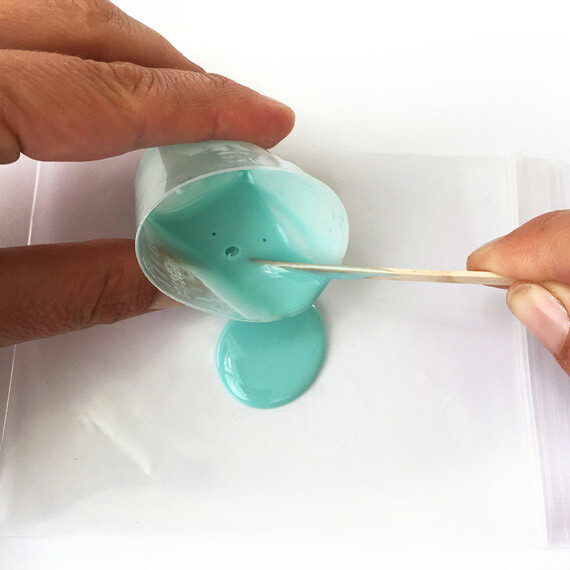 In this post I list formula to mixing Nunn Design Resin with Castin Crafts Opaque Pigments to create colors from the 2017 Summer Pantone selection. 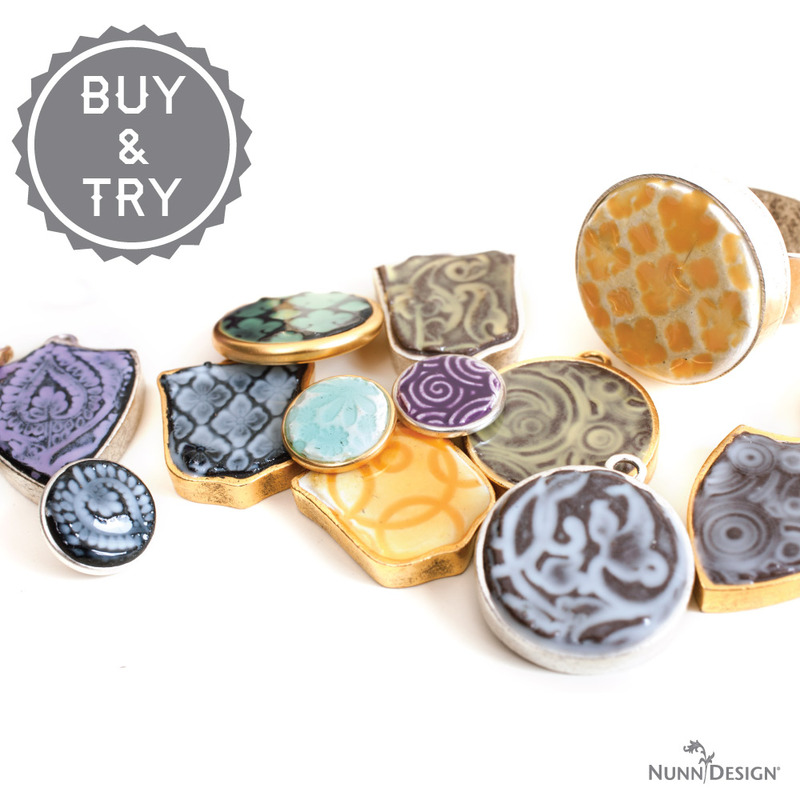 Check out our Buy & Try Colorizing Resin Mosaics in Open Back Bezels! Wow! What super fun ideas! 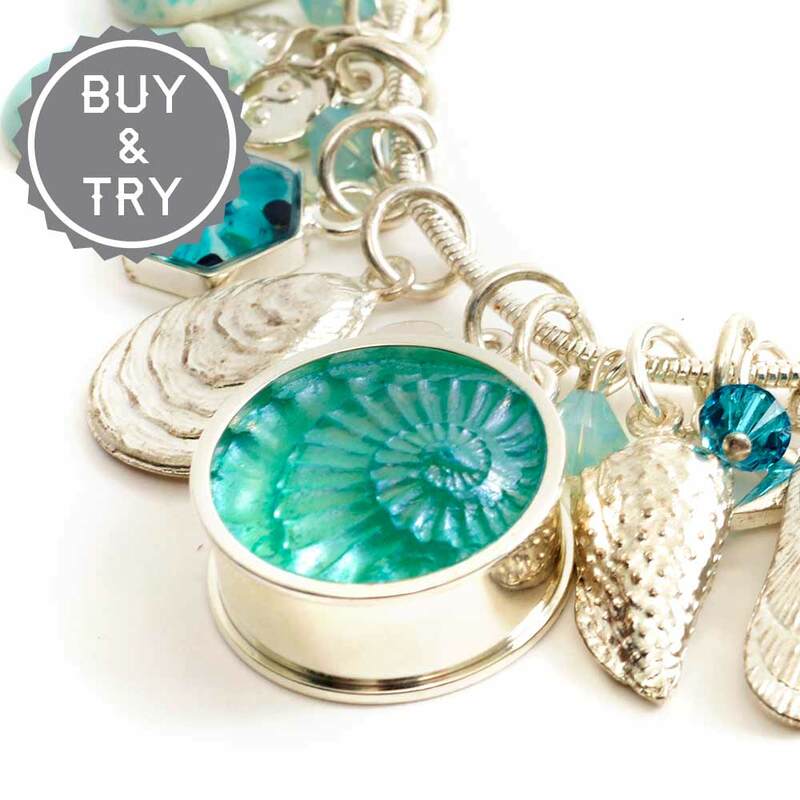 I always hate wasting resin – thank you! One other question as long as I’m asking…you create some delicious colors. 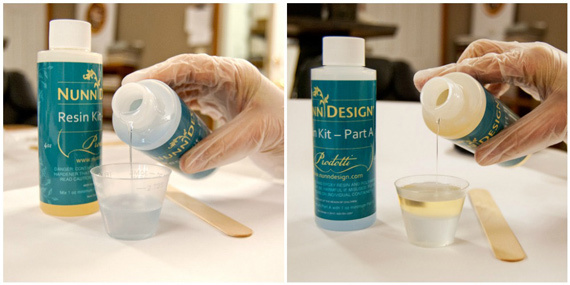 Do you just begin by mixing a little of this and a drop of that until you get a color you love? 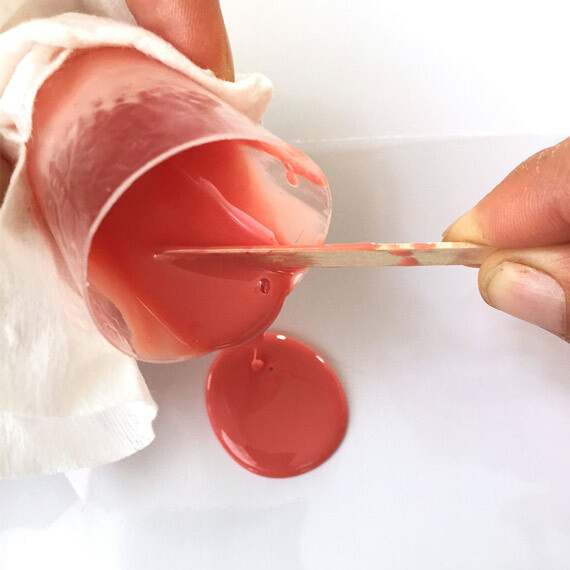 Do you stick to a specific color-mixing formula? 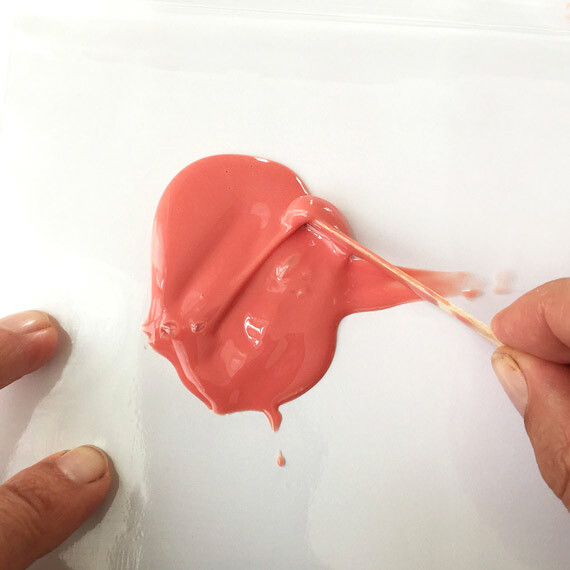 What happens if you notice a bubble and need to fill it with the same color – how do you ensure you can replicate the same color? Your projects seem representative of YOU – I imagine your life to be full of natural, simple things that have a calming effect. 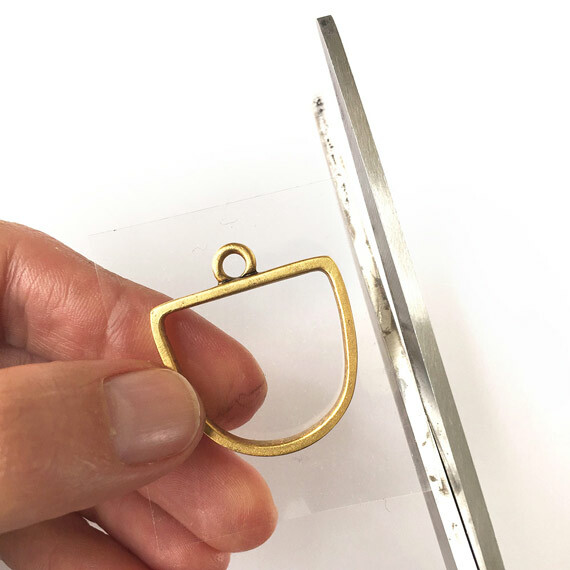 That’s a feeling that distinguishes your creations from others on the market – making your items are instantly recognizable. 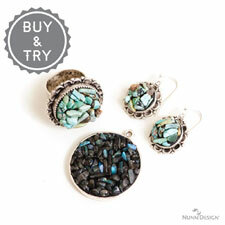 Do you have to work at utilizing a natural style, so it has universal appeal? Or is that an accurate representation of who you are? Color is hard for me, because of all of the reasons that you are suggesting. Color is so personal. I have always been shy to color. I tend to like a very basic and natural palette of white, black and chocolate brown. 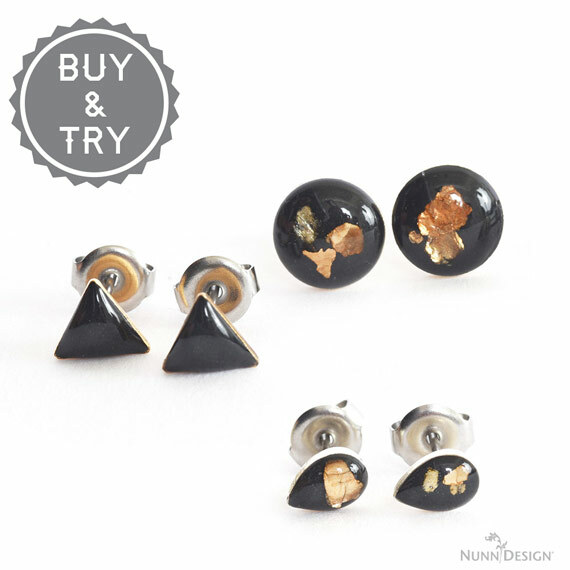 They are classic and will not trend in or out of fashion. 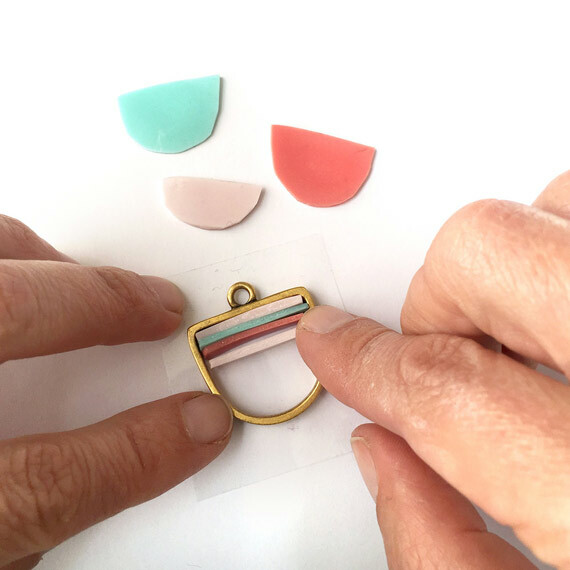 When I’m designing jewelry samples, I try to go with colors within the season or the color according to the color predictor. 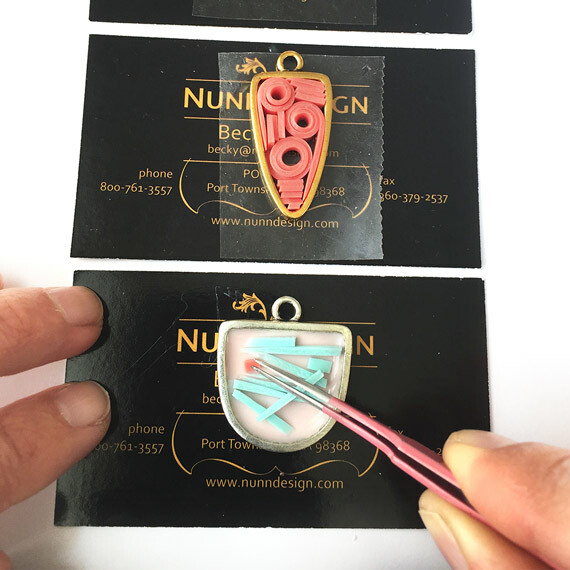 I don’t just dabble, I follow the Nunn Design Color Chart that we have created for our customers: https://www.nunndesign.com/20-formulas-colorizing-nunn-design-resin/. Hopefully you will find some colors in here that work for you. I also try to highlight a lot of other artists. 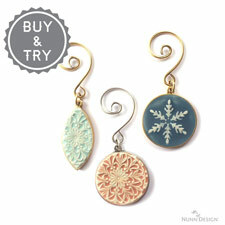 For example, Cheryl loves color and she isn’t afraid of exploring great color combinations. That is a big help, thank you! Your creations are so different from mine that it always makes me wonder where you get your ideas. 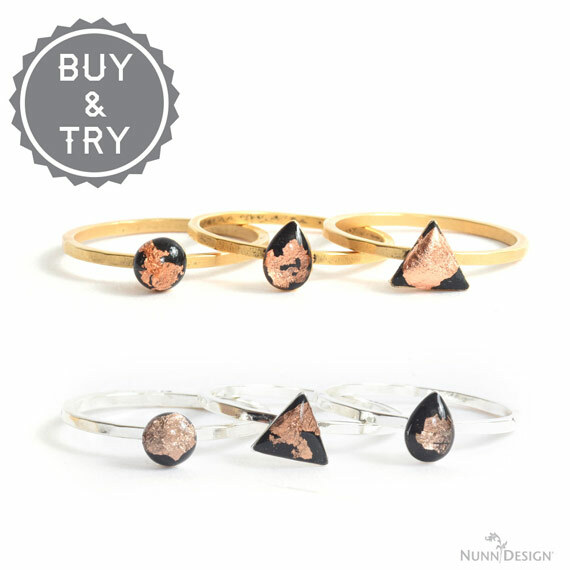 That is one of the things I adore most about Nunn pieces – they work well for an endless variety of styles. 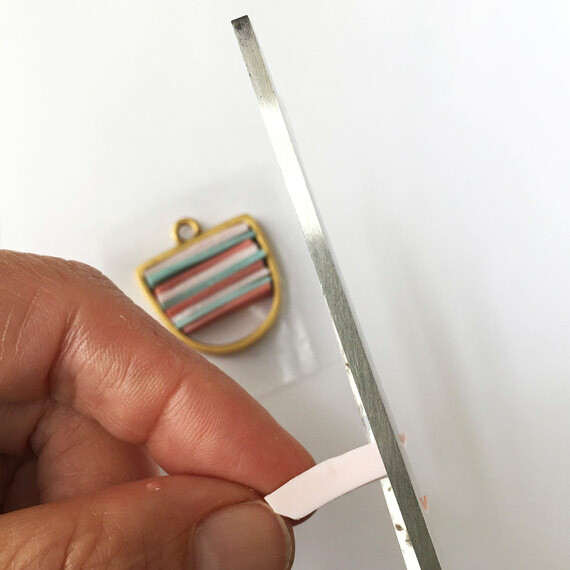 It always surprises me how I will see the new line and instantly think of projects to make – then you will put out some samples, and I find them more beautiful than what I had initially thought of…but then realize they have a universal appeal. 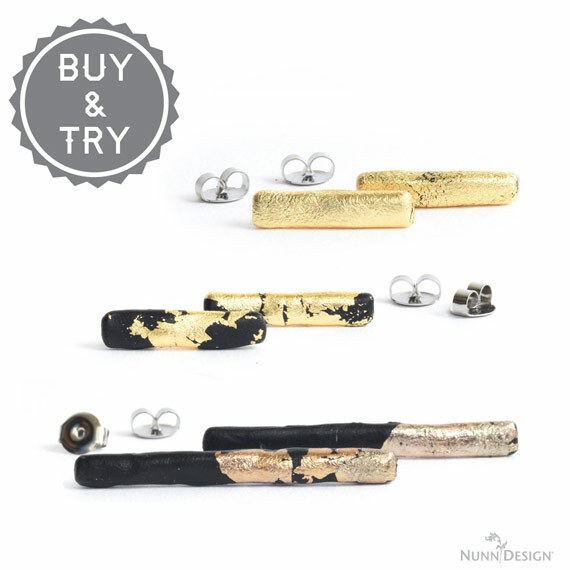 I think it is the exceptional quality and beauty of every piece, combined with the wild versatility of the lines you create that make Nunn such a success. 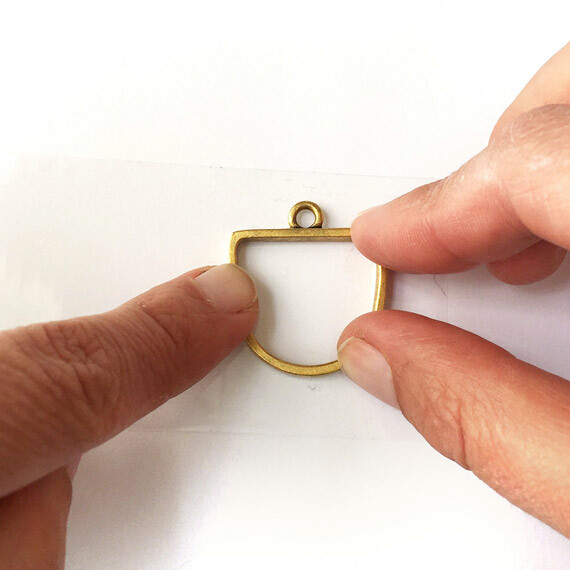 It’s nice to know your ideas, struggles, and how you arrive at the complex decisions regarding which pieces to manufacture – it reminds me you ARE human and not some perfect jewelry creating robot. (Which does occasionally run through my mind. I’m not gonna lie!) I have never been able to get through a new Nunn catalog without getting goosebumps. 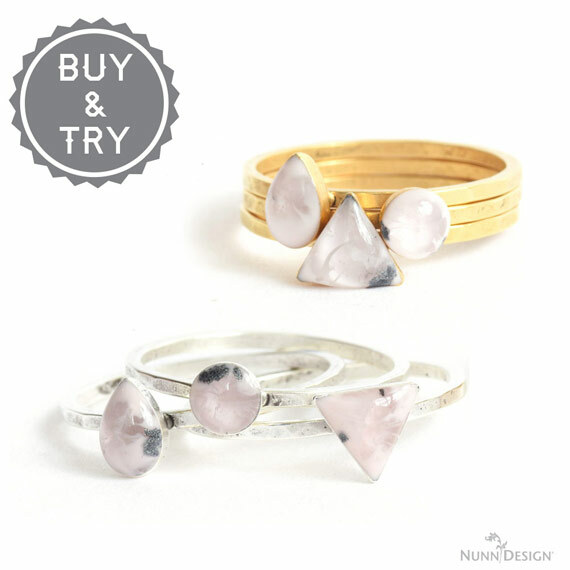 The styles are so captivating…and so different than my own. I have kept every catalog I’ve received and I enjoy referring to the salivatory-worthy photographs over and over. When I’m in a rut and can’t find my way out, the catalogs and website are the first places I go for creative sparks and rejuvination. 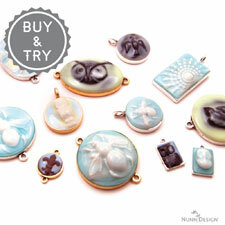 Our basic designs may be entirely different, but I know your creations will instantly revive my creative juju. 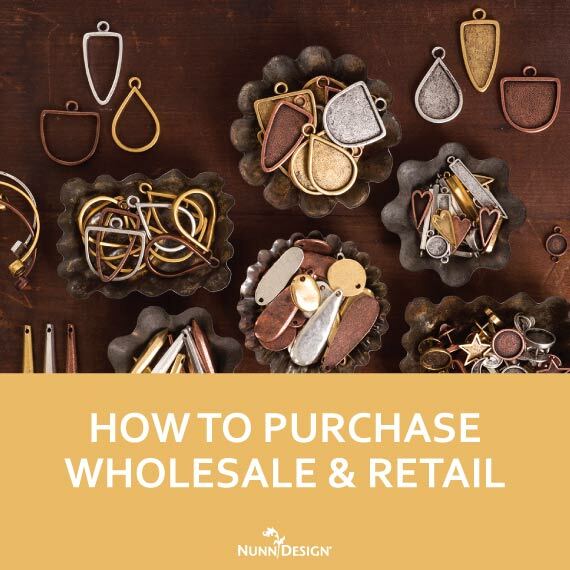 Nunn catalogs = 5-Hour Energy on paper! I knew about the color chart Heather put together – which is awesome. I was speaking more to the colors you guys haven’t yet figured out…do you try to work out the formula before creating the piece? Or do you start mixing random colors and going from there? Thanks for answering. 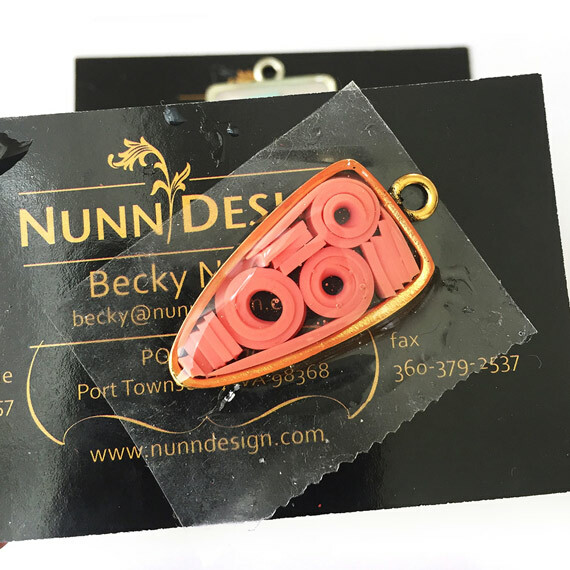 Your personal input is one of the reasons so many are stuck on Nunn!